Hey gang! 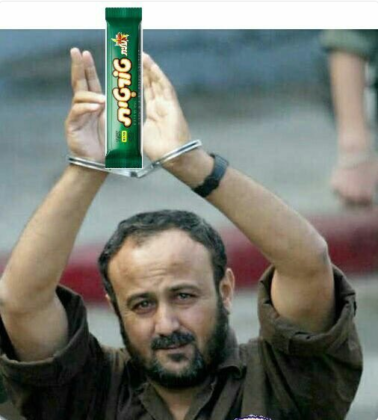 Big Marwan over here, and welcome to “Blogging with Barghouti“! Coming to you from the belly of the beast in the Zionist Entity’s biggest, baddest, most inhumane jail. The jail that STILL does not comply with our inalienable rights to 20 TV channels, cell phones and unlimited magazines (No. Really. that’s our demand!) Which is why we are still conducting our steadfast and honorable hunger strike.